“ Gai” is a well in the lowest part of hell, in which accumulates the pus of its inhabitants. It is also mentioned that “ Gai” is the hottest and deepest part of hell. This is the well which Allah opens up whenever the heat of hell lessens, causing the fire of hell to rage again. This well is the destination of those who abandon Prayer – and adulterers, drunkards, usurers and those who hurt their parents. We therefore know from the Holy Qur'an, and from the Hadith, that it is obligatory on all Muslims to offer Prayers 5 times daily. To be lazy in Prayer, and especially not to offer the Night and Dawn Prayers, are the traits of hypocrites. 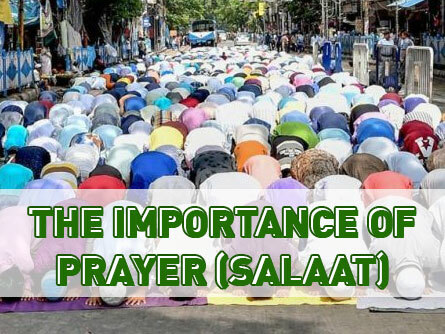 We also know that not offering Prayer is the way of the disbelievers - this is why the Sahabah (the Companions of the Holy Prophet) did not deem the abandonment of any deed as disbelief, except the abandonment of Prayer. The importance of Prayer can be gauged from the fact that it has been emphasised right from childhood. The Holy Prophet (peace and blessings be upon him) has said: “ Command your children to pray when they become seven years old, and beat them for it (Prayer) when they become ten years old; and arrange their beds (to sleep) separately.